Transport secretary Chris Grayling has issued a stark warning for anyone inspired to launch a copycat drone attack after the Gatwick incident, saying: “You’ll go to jail for a long time”. 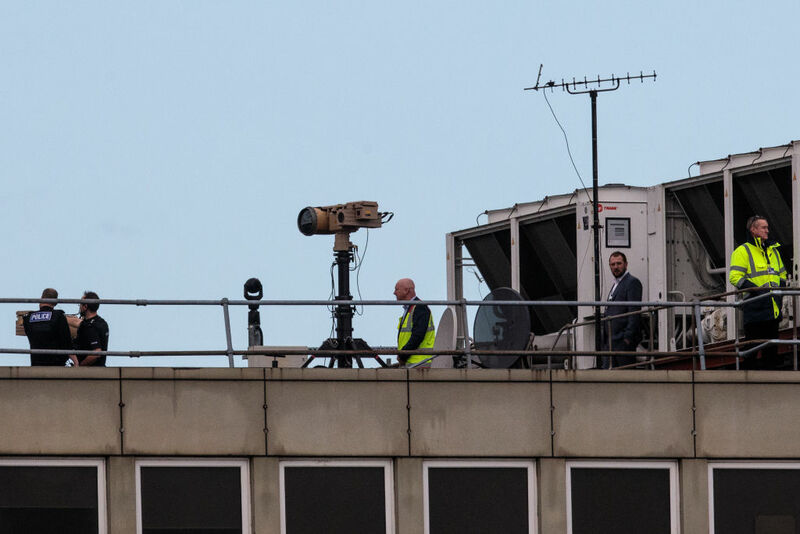 The perpetrator behind the drone activity that shut down Gatwick Airport from Wednesday night until the early hours on Friday is still at large, but the airport has resumed operation after extra support from the military was drafted in. “We’re told we’ve got mitigating actions to deal with the drones, but why couldn’t that have been done on Wednesday night or Thursday morning?” asked Julia Hartley-Brewer. Read more: Gatwick drones: Why can't they be shot down, and what can be done to prevent another attack? “Because it’s taken time, there is no single solution to this,” replied Mr Graying. “You can’t just send up a helicopter and shoot down a drone, it’s very difficult to do so, based on experience in other parts of the world, not in an airport environment, where the government has tried to shoot down drones - thousands of rounds of ammunition have not succeeded in doing so. Gatwick is in a built up area, so you can’t just fire ammunition willy-nilly. Hartley-Brewer said that many experts, including pilot Simon Moores, who appeared earlier on the talkRADIO breakfast show, said that regulation around drones was not keeping up with how the technology was evolving. “We’ve taken steps to deal with what appeared to be the threat up until now,” Mr Grayling said in response. “This is a completely different kind of incident. All the incidents to date have been people behaving irresponsibly close to an airport. There are now tougher penalties and exclusion zones, but this is a case of somebody wilfully breaking the law. As for who was behind the incident, Mr Grayling said that was still being investigated. “There’s no evidence to suggest it is a conventional terrorist group behind this. We genuinely don’t know, the police don’t know, they’re following up a number of leads,” he said. “[Copycat incidents are] clearly a risk,” he added.